In the ensuing months, Rath’s YouTube career has taken off and he’s become a strong advocate for the blind. To mark Global Accessibility Awareness Day, Tim Cook spoke with Rath and two other YouTubers, Rikki Poynter and Tatiana Lee about accessibility. Cook and Poynter, who is deaf, discussed closed captioning and how accessibility is a core value at Apple. Lee talked to Cook about the Apple Watch and its ability to track wheelchair use. Rath and Cook explored the history of Apple’s commitment to accessibility and the democratization of technology. The interviews follow the release of a series of videos made by Apple spotlighting the accessibility features of its products. 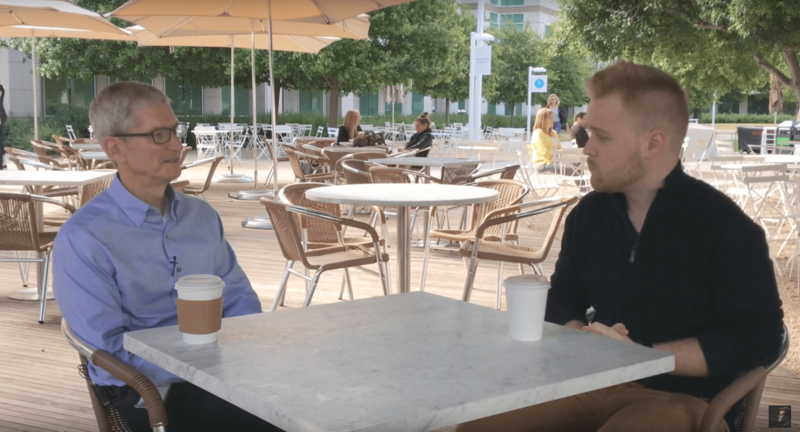 The interviews, which were filmed in the courtyard at Apple’s Infinite Loop campus are available after the break.